You may have seen recently on my Instagram that I had an incredibly memorable day at Walt Disney Animation Studios for an afternoon celebrating the 30 year anniversary of The Little Mermaid. My love for Disney really began with watching The Little Mermaid on VHS over and over and over again. I can’t remember how many times I watched it, how many times I was pretending to be Ariel whenever I was at a pool. 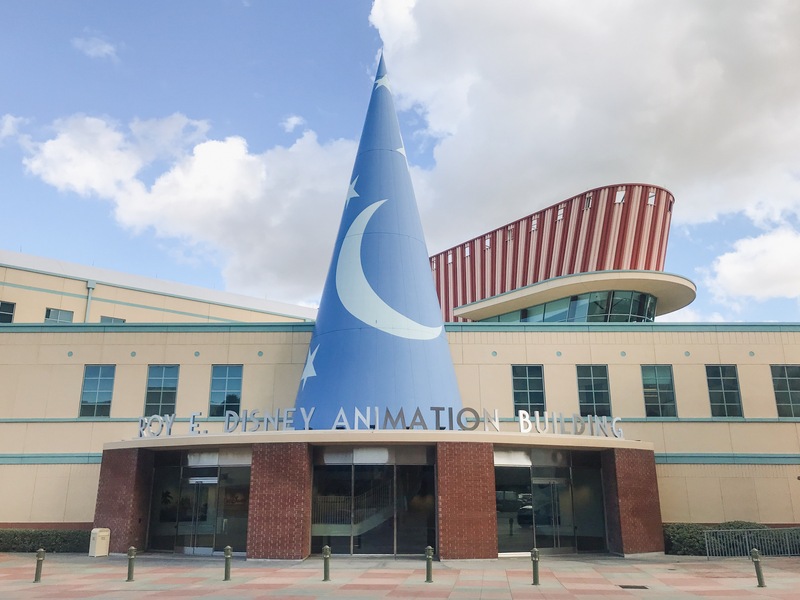 So for me to have the opportunity to meet Mark Henn (Animation Supervisor) and Ron Clements (Director), as well as do a live web interview with Jodi Benson (Ariel)…it truly felt like my love story with Disney Animation Studios had come full circle. Ron Clements, along with The Little Mermaid co-director John Musker pitched the idea to Walt Disney Animation Studios to create a more optimistic version of the Hans Christian Andersen tale “The Little Mermaid”. Who would have guessed that this film would actually be the one to help save Disney Animation Studios, help fund the creation of the very animation building we were sitting in, and be so highly celebrated 30 years later? When creating the film (as well as subsequent films such as Aladdin, Hercules, Princess and the Frog), he feels that having music be a major part of the film helps it be timeless. If a film has good music, you will want to keep hearing the music after all! And of course, great animation. Clements said that a good animator is not only a good artist, but a good actor. They have the ability to really think and get inside a character’s head. Which is of course is what legendary Disney animator Mark Henn did during this film. Henn felt Ariel was unique, since she was a very proactive character, with her actions directly propelling the story of The Little Mermaid along. Henn also has been involved with the animation of many of the princesses, with Ariel, Belle and Jasmine being back-to-back-to-back. With working on three princesses in a row, it was a challenge for himself as an animator to make sure he didn’t make their expressions or movements the same. He didn’t want the only thing differentiating them to be their hair and clothes. When animating each character, he has to ask himself “Is what I’m drawing uniquely Ariel? Or could it be anybody else on screen?” The key to making Ariel who she is is making sure everything she does is uniquely Ariel. And of course, Henn and Clements’ hard work and passion paid off, since when The Little Mermaid came out, it was the highest rated preview of any other movie from Disney Animation Studios. And of course, now we get to celebrate its 30th anniversary with its Blu-ray re-release on February 26th! We had the honor of interviewing Jodi Benson (voice of Ariel) in a live web interview. Even though she was on-screen and not sitting with us in person, the moment still felt beyond magical. You could easily see the pride that Benson takes in getting to be Ariel for the past 30 years, and how the role truly changed her life in a way she never imagined. Rewind more than 30 years ago, Benson told us about her journey receiving the role. She was working as an actress on Broadway, and among her many auditions she had auditioned for Ariel. At that time, many in the industry thought if you were taking voice acting roles your career was tanking, so she had taken the audition with a grain of salt. One night when she was at the theatre rehearsing, she received a page from her agent. She pulled out a roll of quarters to return the call on a nearby payphone, and was told she received the role in a Disney animated film and would need to fly out to California. Benson had the intention of flying to California, do the voice acting job, and not mention it to her fellow actors so no one would think her acting career was going south. She thought the movie would come and go and no one would really notice she was a part of it. Part of what makes the hit success and experience of being Ariel as a whole so special was that she went into the project with no expectations of the format of the film, and no expectations of the impact the film would have. The time spent recording for The Little Mermaid proved to be quite special, so much so that 30 years later the experience of recording is still very fresh in her memory. While recording, Howard Ashman (producer, co-writer of the songs in the film) would most times be in the booth with her during her sessions. Benson recollected her most emotional line she delivered, one near the end of the film right after Ariel marries Eric. Ariel gives King Triton a hug, and whispers “I love you daddy.” Benson having an intricate history with her father, felt very emotional in this moment of recording. Ashman was there alongside her, also having a complicated history with his father, and they both cried as she delivered that line. Benson said that that was a moment to this day that brings tears to her eyes, and she will never forget those sessions with Ashman. Now 30 years later, Benson still has the joy of giving Ariel a voice, most recently in “the princess scene” in Ralph Breaks the Internet. She also had the surreal experience of getting to film bonus features for the 30th anniversary edition of The Little Mermaid alongside her kids. Her aspiring filmmaker son even got to direct a bonus feature! It was definitely an day at Disney Animation Studios I will never forget! You can find the 30th anniversary edition of The Little Mermaid, full of bonus features on digital February 12, 2019, and on Blu-ray February 26, 2019. To add to The Little Mermaid fun at home, you can download these free coloring pages and activity sheets!